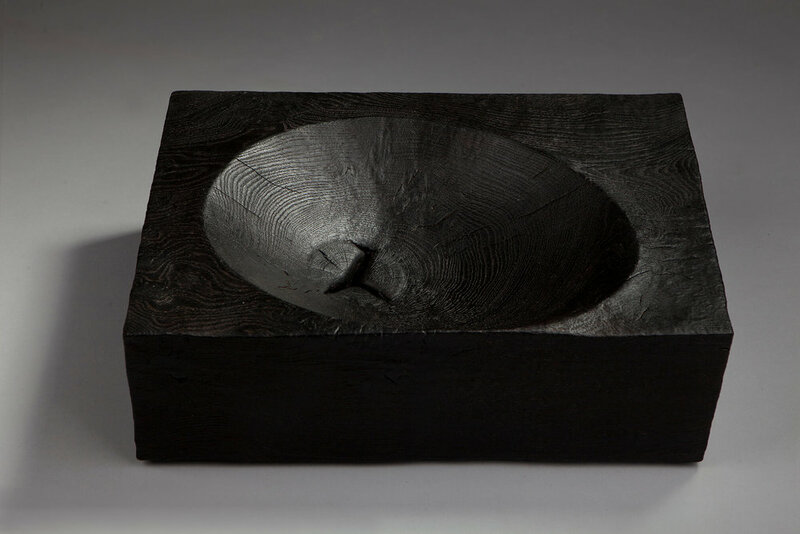 Jim Partridge and Liz Walmsley are internationally regarded as two of the best British artists working in wood; they sculpt oak wood pieces that are organic in nature, giving them a strong, dramatic aesthetic and an honest beauty. 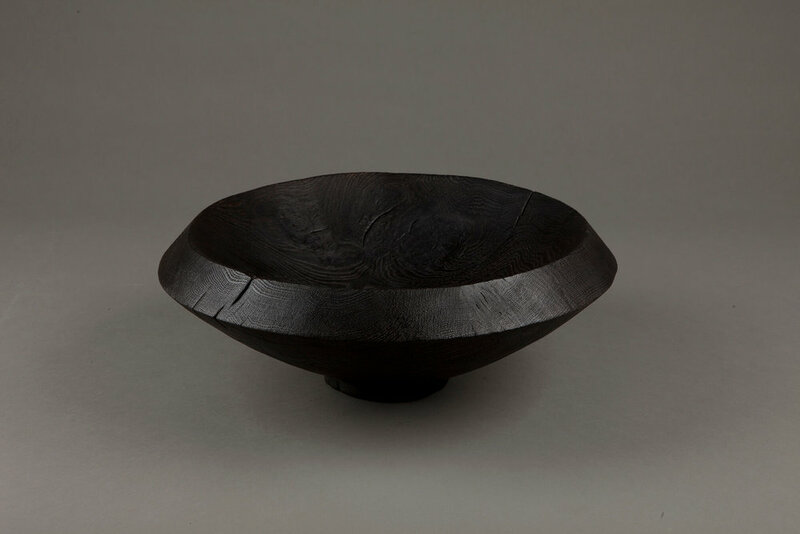 Indeed, it is not only the medium of wood, but also the aesthetic and tactility of the objects and furniture pieces that speak of the natural world. The artists describe their intention as being to make work with a strong but quiet presence in the landscape. This minimalist aesthetic also bestows their work with an unmistakably contemporary feel. Through this fine balance of material, aesthetic, texture and design, the artists create wood objects and furniture that seduce us with their artistic refinement. Partridge and Walmsley have worked together creating functional woodwork and furniture for various settings since 1986. While their partnership focuses on producing public commissions and architectural projects, Jim Partridge also produces vessel forms as an individual practice. Jim Partridge and Liz Walmsley have been shortlisted twice for the Jerwood Furniture Prize. Major commissions and public projects include an altar for Christ Church Cathedral in Oxford, seats for Compton Verney Art Gallery, Warwick University Arts Centre and Hereford Cathedral Close, and furniture for Edinburgh Botanical Gardens as well as projects for The Chiltern Sculpture Trail, Ruthin Craft Centre, Wales, and Grizedale Forest in the Lake District. Partridge and Walmsley’s work was featured in the major curated exhibition ‘Sitting and Looking’, shown at Dovecot Studios, Edinburgh, Somerset House, London, and RCC Ruthin in 2010-11. 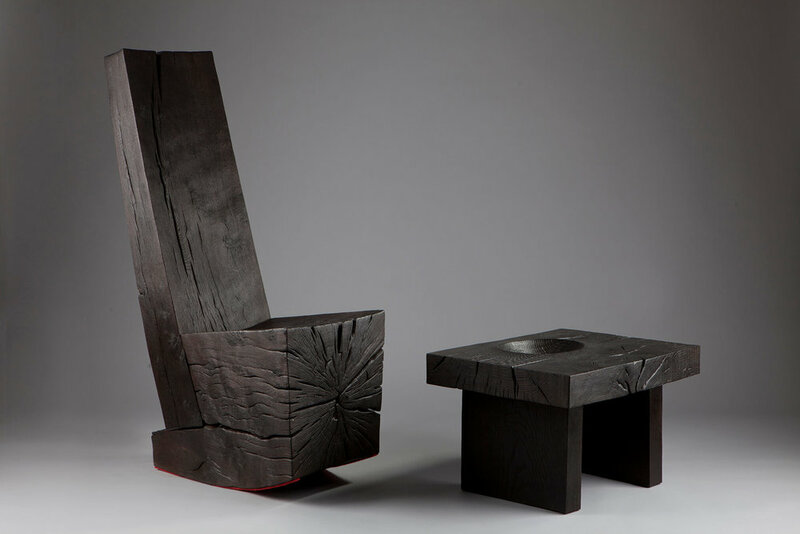 Their studio furniture, much of which is carved from blocks of green oak, often scorched and polished to a lustrous black finish, is featured in public collections across the UK and internationally, including: The Victoria and Albert Museum, London; Manchester Art Gallery; Contemporary Arts Society, Britain; The British Council; The Fitzwilliam Museum, Cambridge, UK; Kyoto Museum of Modern Art, Japan; Boston Museum of Fine Art, USA; and The Mint Museum of Craft and Design, Charlotte, USA.